The Franz Reinkemeier GmbH has its own fleet of more than 35 long-haul trucks, which ensures the delivery of the goods within Germany and in the neighboring states. By using our own vehicles, we can always ensure the widespread goods supply for our customers and act directly on the itinerary for urgent customer requirements and flexible solutions. 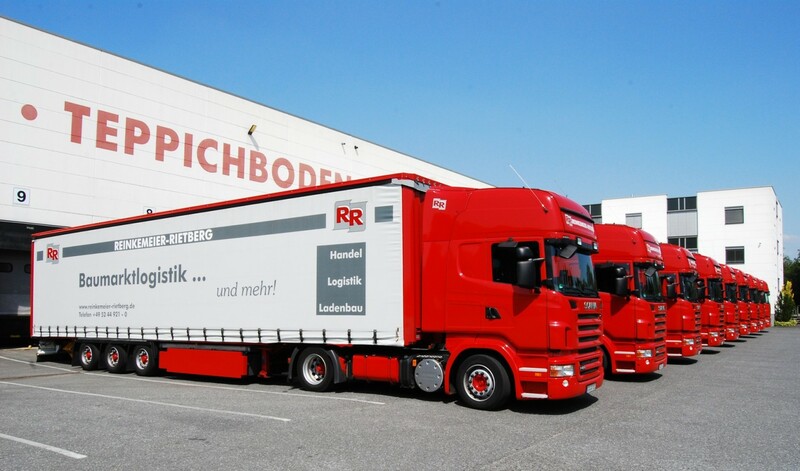 Each postcode area is approached usually 2-3 times a week and the transport from our logistics base in Rietberg directly to the customer without the goods are transshipped. 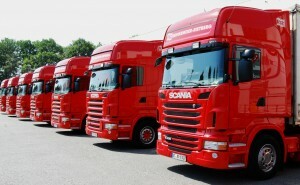 Find means of a modern tour system in which the specific mission data such as deadlines, unloading, volume, and weight into account, the vehicle use is optimally planned. Our telematics system supports our drivers, by the orders are displayed in the correct pre-processing sequence and the navigation software fast target directions is ensured. Each time, our MRP able to provide our customers tell the exact shipment status.